Photos often speak louder than words. 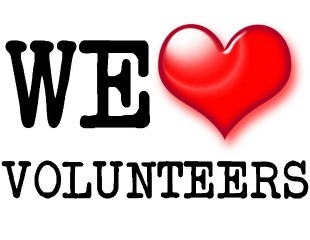 Browse our photo gallery to watch our volunteers and constituents in action. 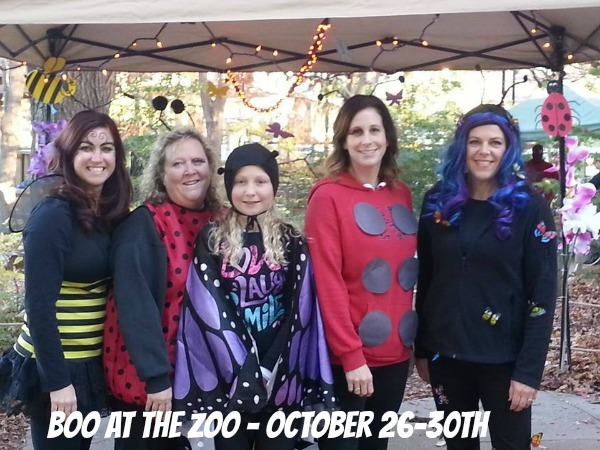 Board Members Kerri Merkel and Julie Bogle-Macke (Left) with some friends at Boo at the Zoo! October 26-30th @ Lincoln Children's Zoo! Night 3 saw just under 4,000 guests! Night 2 of Boo at the Zoo! 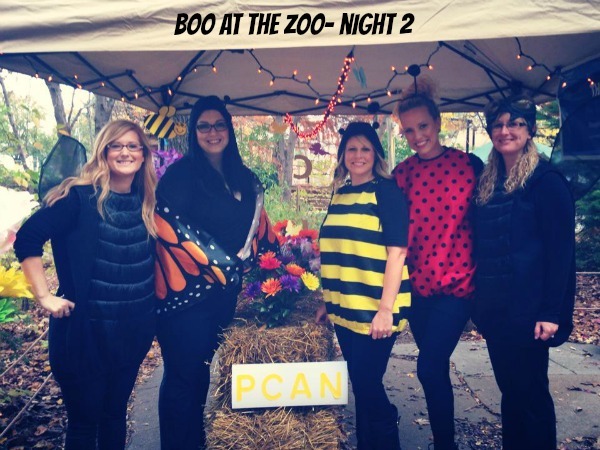 Board Member Erika Shelton (Ladybug) and friends saw over 1,700 trick-or-treaters and spread the word about childhood cancer to almost 3,300 guests! 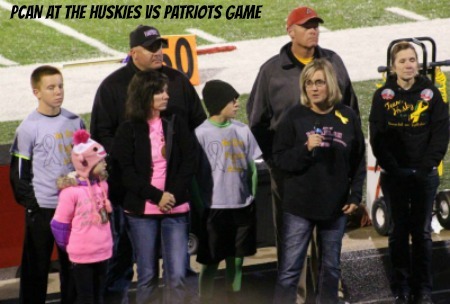 PCAN at the Huskies vs Patriots Childhood Cancer Awareness football game, 09-12-14 in Aurora, NE. 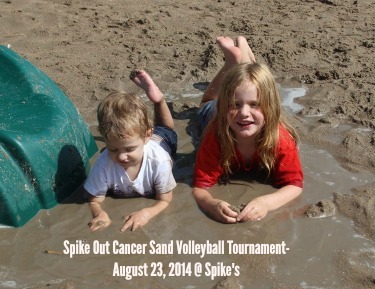 These communities care about childhood cancer! 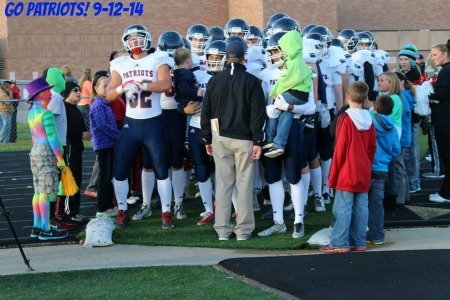 Adams Central Patriots take the field at the Childhood Cancer Awareness night game in Aurora, NE 09-12-14. 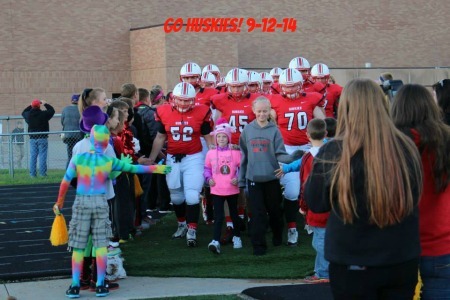 Aurora Huskies take the field at the Childhood Cancer Awareness game 09-12-14 in Aurora, NE. Nebraska families affected by pediatric cancer join PCAN President, Karri Shiers and Vice-President Gary Peters on the field during half-time at the Childhood Cancer Awareness game, 09-12-14 in Aurora, NE. 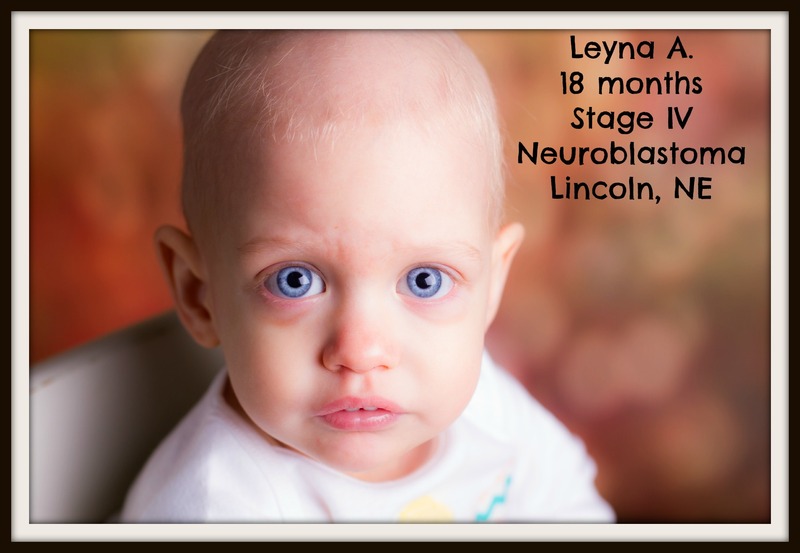 These communities care about childhood cancer! 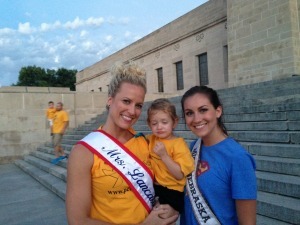 Mrs Lancaster, Erika Shelton; Leyna A., cancer warrior; Miss Nebraska, Amanda Soltero at the Nebraska State Capital for the lighting event 08/24/2014. 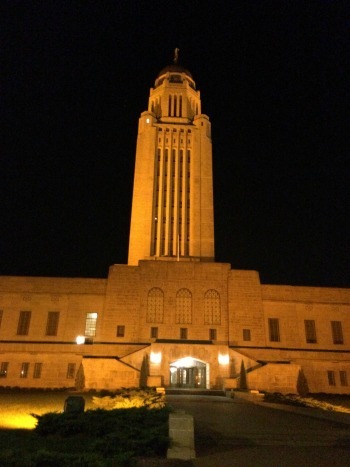 The Nebraska State Capital lit up GOLD for pediatric cancer awareness on 08/24/2014. Thank you NE District Optimists for sponsoring this important awareness event!